A party on Georgia Street is the promise for the first day of Spring this year. To celebrate their first harvest of the year, members of the BC Greenhouse Growers’ Association are inviting the public to join them at the Vancouver Art Gallery north plaza on March 20. 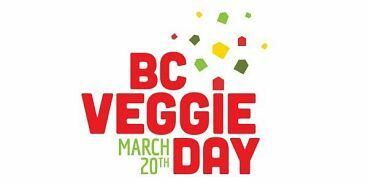 The “BC Veggie Day” bash starts at noon with an official proclamation declaring March 20 as “BC Veggie Day” in recognition of the springtime arrival of greenhouse grown tomatoes, cucumbers, peppers, eggplants and lettuce. Festivities include a flurry of pop-ups, including a pop-up greenhouse from Prins Greenhouses filled with Houwelings Tomatoes and ‘good’ bugs from the Bug Factory, a farmer’s market with fresh veggies from the Growers’ Association and a first-ever pop-up restaurant by Earls Kitchen + Bar. All will be temporary, up in the morning, down after the party ends, about 2 p.m. And of course there will be entertainment: Prevail from Swollen Members will emcee and Vince Vaccaro Band (7 members) will perform. 93.7 JRfm and 102.7 THE PEAK will broadcast live from the plaza.